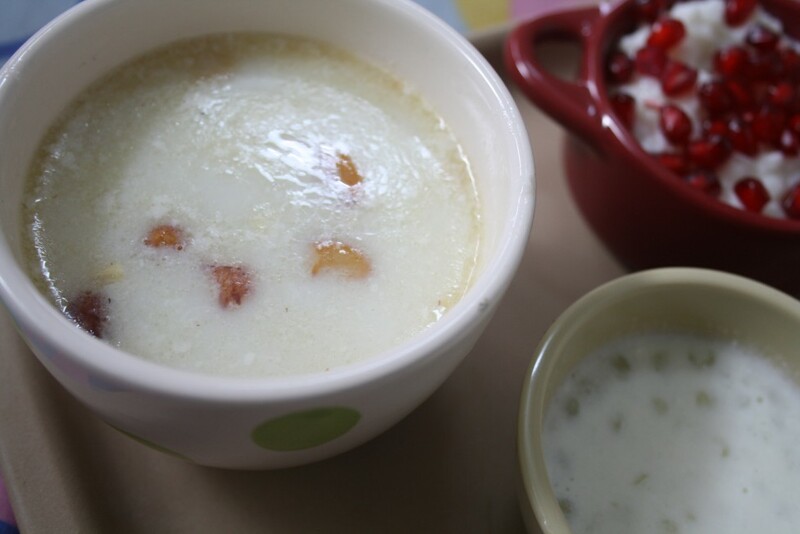 For the last day of Navratri, the prasadams have to be in white and I decided to go with Sago. 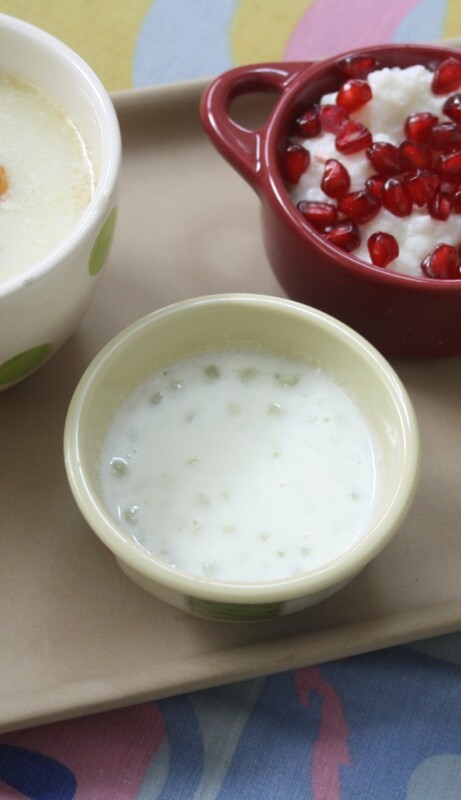 So I made Sago payasam, curd rice with Sago and the regular Curd rice seasoned and garnished with Pomegranate. It’s pretty late today, so will leave with a short note as I have another early day tomorrow for the Vijayadasami Pooja. 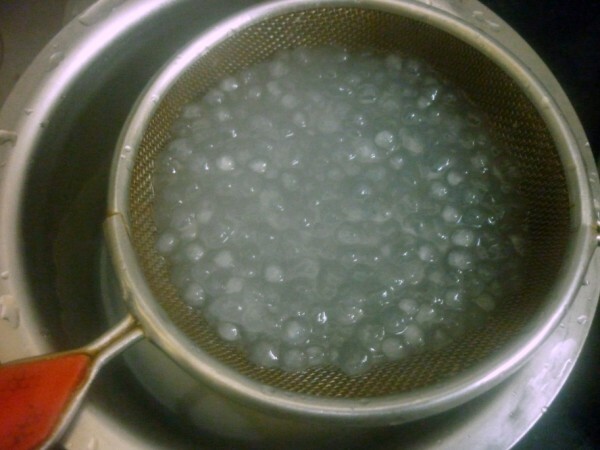 Soak the sago overnight and change waters. Pressure cook for a whistle. 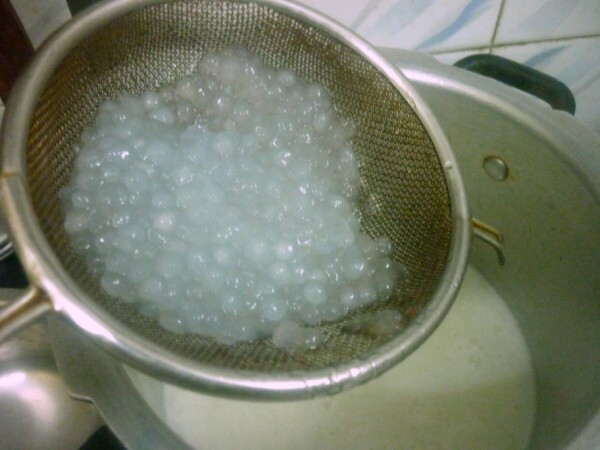 Drain the water from the sago. 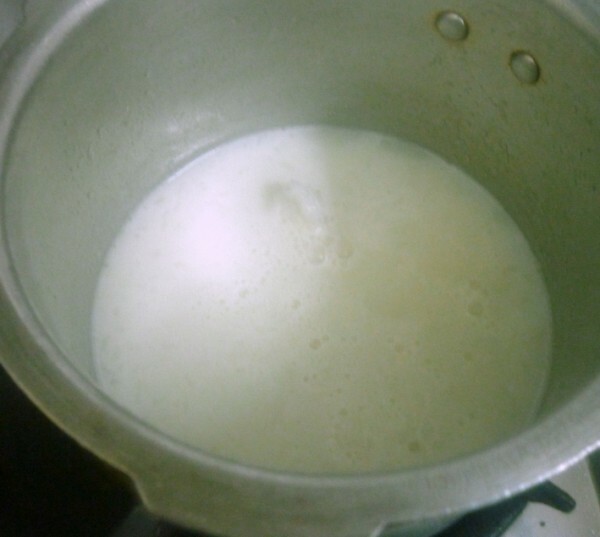 In a pan, bring the milk to boil, add the water drained from the sago. Add the cooked rice and mash well. Add the sugar and let it simmer. Finally add the cooked sago and simmer for 5 mins. 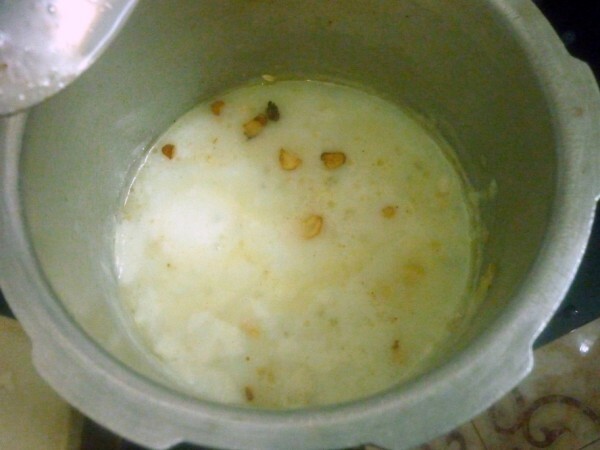 In another pan, roast the nuts and pout over the kheer. 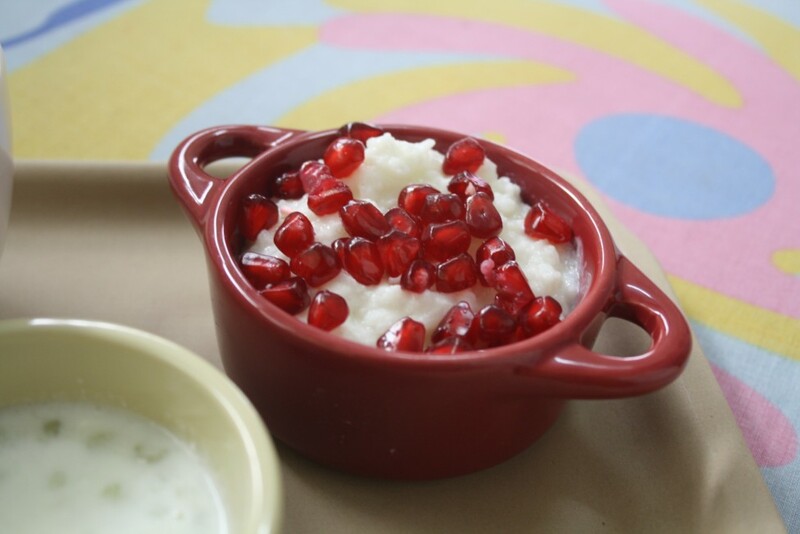 Seasoned Curd Rice with Pomegranate. Hope you all had a great festival season. Happy Ayudha pooja and vijayadashami too. The white color spread looks delicious! 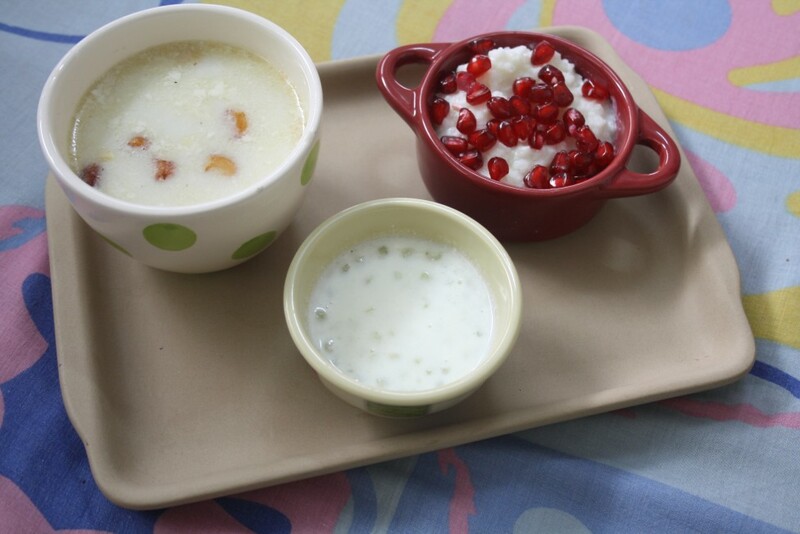 Thats a fabulous spread, never tried sago curd rice till now,sounds interesting.